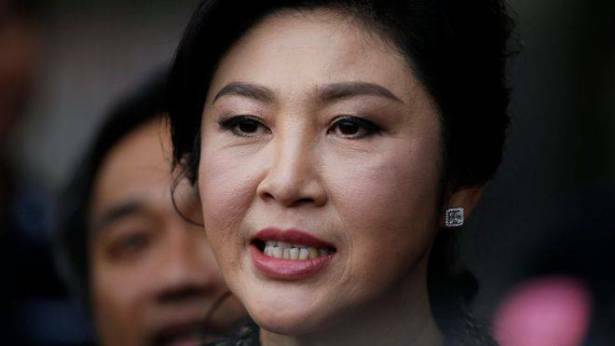 Lawyers for Ms Yingluck, who is charged with negligence, said she was ill. The Supreme Court has issued an arrest warrant for her and has delayed the verdict to 27 September. She has denied any wrongdoing in the scheme which cost Thailand billions of dollars. If found guilty, she could be jailed for up to 10 years and permanently banned from politics. On Friday, Ms Yingluck's lawyer requested a delay in the ruling, telling the court that she had vertigo and a severe headache and was unable to attend. But an official Supreme Court statement said prosecutors opposed the request. They said they did not believe she was sick as there was no medical certificate and that the claimed sickness was not severe enough that she could not travel to court. "Such behaviour convincingly shows that she is a flight risk. As a result, the court has issued an arrest warrant and confiscated the posted bail money," the statement said. Ms Yingluck posted $900,000 (£703,000) in bail at the start of the trial. The immigration police chief told Reuters that he believed Ms Yingluck was still in Thailand as he had no information showing she had left. However, when asked by the BBC whether she was still in the country, Ms Yingluck's lawyer Norrawit Larlaeng said: "I don't know. I don't know." Ms Yingluck's brother, controversial former prime minister Thaksin Shinawatra, lives in exile after fleeing the country in 2008 to evade a jail term for corruption. 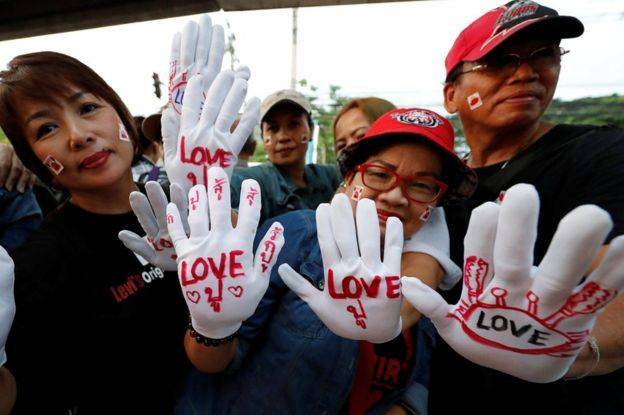 Friday's turn of events took many by surprise, including the hundreds of people who turned up outside the Supreme Court in Bangkok to support Ms Yingluck. BBC Thai reporter Nanchanok Wongsamut, who was in court, said the announcement prompted shocked reactions in the room, and then a flurry of activity as journalists ran out to report the news. Ms Yingluck, who became Thailand's first female prime minister in 2011, was impeached in 2015 over the rice scheme by a military-backed legislature, which then brought the legal case. The scheme, part of Ms Yingluck's election campaign platform, launched shortly after she took office. It was aimed at boosting farmers' incomes and alleviating rural poverty, and saw the government paying farmers nearly twice the market rate for their crop. But it hit Thailand's rice exports hard, leading to a loss of at least $8bn and huge stockpiles of rice which the government could not sell. During her trial, Ms Yingluck had argued she was not responsible for the day-to-day running of the scheme. She has insisted she is a victim of political persecution. Ms Yingluck's time in office was overshadowed by controversy as well as strong political opposition. The youngest sister of Mr Thaksin, she was seen by her opponents as a proxy for her brother, who was controversially ousted by the military in 2006. Both siblings remain popular among the rural poor, but are hated by an urban and middle-class elite. Their Pheu Thai party has - under various different names - won every election in Thailand since 2001.